Overlooking the Gulf of Mexico and Sabine Bay, Margaritaville Beach Hotel sits on the Gulf side of Pensacola Beach. Downtown Pensacola, the westernmost city in Florida's panhandle, is a 20-minute drive, and it's a 10-minute walk to the shops and restaurants lining Portofino Boardwalk. 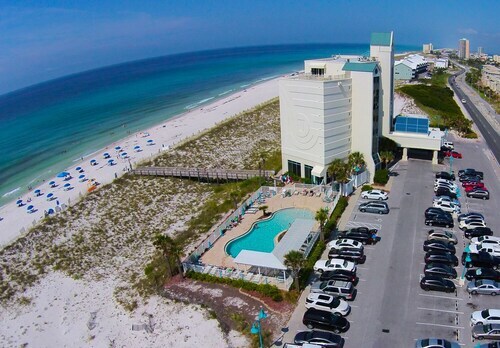 Offering direct access to the beach, this Pensacola Beach hotel is in the city center, 0.1 mi (0.1 km) from Pensacola Beach Pier, and within 9 mi (15 km) of Fort Pickens and Pensacola Civic Center. Pensacola Little Theatre and Historic Pensacola Village are also within 9 mi (15 km). Nestled on the beach, this Pensacola Beach hotel is within a 15-minute walk of Portofino Boardwalk and Pensacola Beach Pier. Naval Live Oaks Nature Preserve and Shoreline Park are also within 6 mi (10 km). Situated on the white sands of Pensacola Beach, Hampton Inn Pensacola Beach is a 10-minute drive from the Naval Live Oaks Area nature trails. It’s 15 minutes by car to downtown Pensacola, and 30 minutes to the National Naval Aviation Museum and Pensacola Lighthouse. Situated in Pensacola Beach, this beach hotel is within a 15-minute walk of Portofino Boardwalk and Pensacola Beach Pier. Naval Live Oaks Nature Preserve and Shoreline Park are also within 6 mi (10 km). Nestled on the beach, this Pensacola Beach hotel is within a 10-minute walk of Portofino Boardwalk and Pensacola Beach Pier. Naval Live Oaks Nature Preserve and Shoreline Park are also within 3 mi (5 km). Nestled on the beach, this Pensacola Beach condo building is within a 15-minute walk of Portofino Boardwalk and Pensacola Beach Pier. Naval Live Oaks Nature Preserve and Shoreline Park are also within 6 mi (10 km). Overlooking the Gulf of Mexico, this waterfront Pensacola Beach resort is less than 10 miles from Gulf Islands National Seashore and Historic Pensacola Village. Downtown Pensacola is 12 miles away. How Much is a Hotel Room in Pensacola Beach? 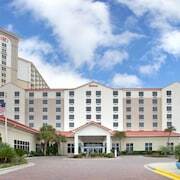 Hotels in Pensacola Beach start at $119 per night. Prices and availability subject to change. Additional terms may apply. 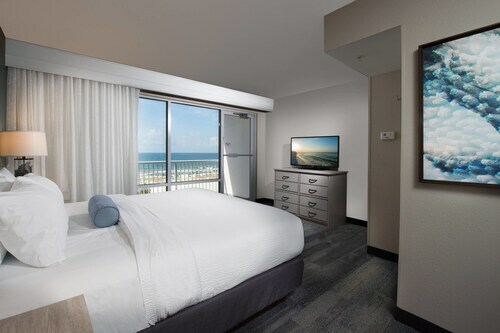 If you are wondering where your home away from home will be while visiting Pensacola Beach, you will have a wide assortment of perfect possibilities. 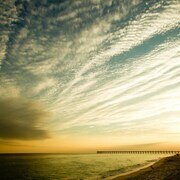 We currently offer no less than 26 hotel establishments within 6 miles (10 kilometers) of Pensacola Beach's city center. 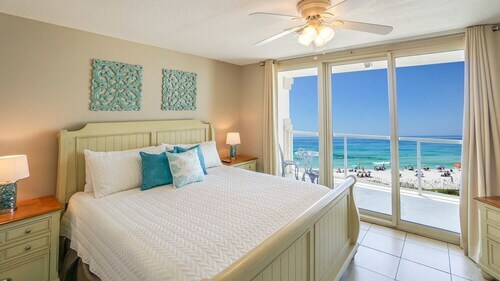 Pensacola Beach can be easily explored from central Travelocity-listed rooms, including the Pensacola Beach Homes by Premier Island and Pensacola Gulf Condos by RMI Vacations. Travelocity fully appreciate that our clients have different budgets and needs. So if you're searching for somewhere to base yourself that is at the cheaper end of the range, the Pensacola Beach area has some nice options to choose from. 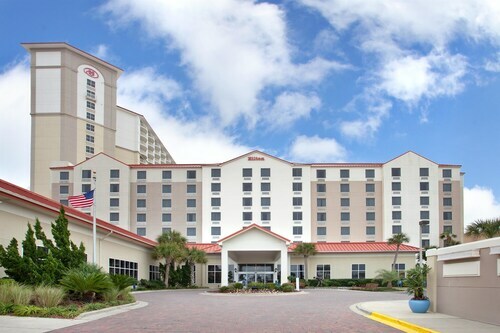 The Holiday Inn Resort Pensacola Beach is 3 miles (5 kilometers) from the heart of Pensacola Beach, while the Holiday Inn Express Pensacola Beach is 4 miles (6 kilometers) away. 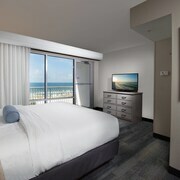 Different affordable room options are the Hampton Inn Pensacola Beach Hotel and the SpringHill Suites Pensacola Beach. The Emerald Isle can be found 3 miles (4 kilometers) from the middle of Pensacola Beach. Alternatively, the Portofino Island Resort is situated 0.6 miles (1 kilometer) away. 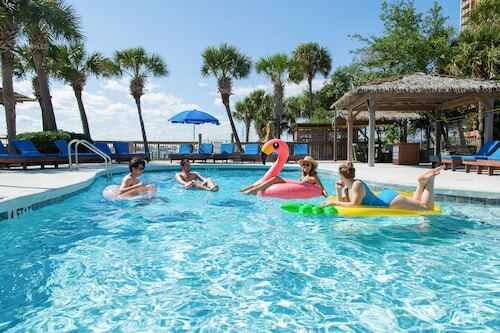 Another possibility is to make a booking at the Beach Club Resort Residence and Spa or the Beach Club Condominiums by Wyndham Vacation Rentals. Once you have spent time in Pensacola Beach, ensure you allow time to check out some other attractions in Florida Panhandle. 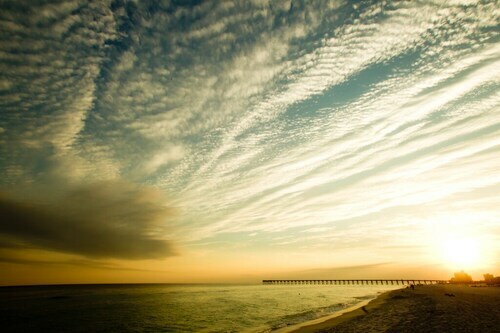 Florida Panhandle is the home of beaches and wetlands. Commonly visited visitor attractions include lighthouses. In this fascinating part of United States of America adventurous travelers can also try their hand at hiking. Situated 13 miles (21 kilometers) northeast of Pensacola Beach is Perdido Key, which you'll have the chance to enjoy the Hidden Creek Golf Club. Navarre is where you can find a range of good places to spend the night. Alternatively, you can find Perdido Key, situated 20 miles (34 kilometers) to the west of Pensacola Beach. While there, visit the Lost Key Golf Club. Travelocity-listed lodgings in Perdido Key include the Palacio Condominiums by Wyndham Vacation Rentals and Windemere Condominiums by Wyndham Vacation Rentals. Pensacola Regional Airport is a commonly used airport, and is 11 miles (18 kilometers) from Pensacola Beach's downtown area. Nearby hotels include Hilton Garden Inn Pensacola Airport-Medical Center and Homewood Suites by Hilton Pensacola Airport. This was one of those situations where the hotel and location was better than described! We loved staying at the Margaritaville Beach Hotel. The beach was just foot steps away and was so clean. We definitely will come back! We stayed in a double queen standard room and it had plenty of space for 4. Highly recommend! Nice Pool area. Right on the ocean/beach. Breakfast was great. All rooms had an ocean view. We liked the beach being close and the easy access to the rooms.A few things like better lighting in the guest room and better drainage for the shower could be addressed. Overall, the stay was pleasant. Room was not ready at check in. Had to wait 2 hours more after a 12 hour drive to rest. Younger lady at front was a little rude, the older lady was nicer she had nice attitude and very helpful. Clean room. Huge shower. Nice view of the bay . Decent price for a beach hotel . Cozy, Modern House-quick Walk to the Beach! 8th Floor 2 Bedroom / 2 Bathroom Condo at South Harbour! Waterview Home With Shared Pool - Close to the Beach & Attractions!